A good source of protein, unsaturated fatty acids (including oleic acid and linoleic acid), vitamins, minerals, dietary fiber and antioxidants. 75% of the fats contained in cashew nuts are good ones such as oleic acid. 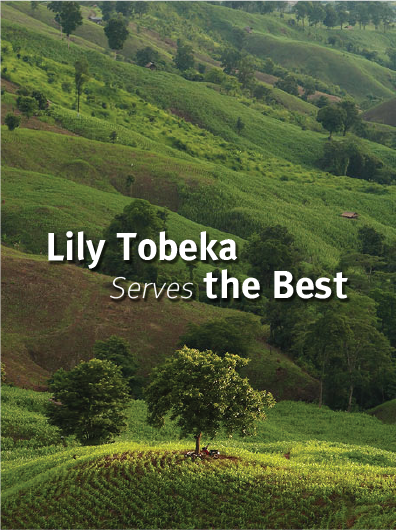 Rich in minerals and vitamins with a low glycemic index (GI) of 25. Very nutritious, nourishing the nerves, lungs, organs and muscles. They contain a high amount of antioxidants, calcium, phosphorous and dietary fiber. Containing phytosterols, good fats, lutein, dietary fiber, vitamins and minerals including phosphorous and potassium. A good source of protein, dietary fiber and folate. They contain high levels of vitamin B1 and B6, vitamin K, potassium, copper, selenium, zinc, magnesium and phytosterols. Containing agglutinin, gibberellin, protein, fat, carotene and vitamin B2. They also have high amounts of dietary fiber, vitamin C, calcium and phosphorous. High amounts of protein, vitamin B1 and B6, and vital minerals. Lotus seeds also have medicinal properties such as nerves and kidneys. 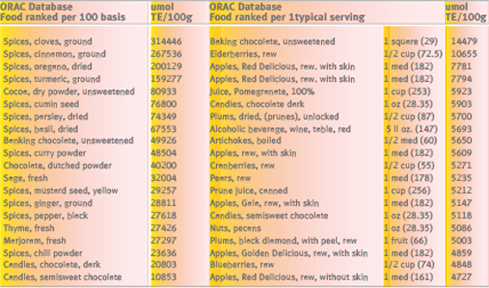 ORAC (or Oxygen Radical Absorbance Capacity) is a measurement of the antioxidant capacities of foods. The higher the ORAC value, the more effective the antioxidants are against free radical damage. ORAC is recognized internationally. FOODS WITH A HIGH ORAC SCORE CAN SUPPRESS FREE RADICAL DAMAGE MORE EFFECTIVELY. Foods with a high ORAC score can protect cells and cell components from oxidative damage. The minimum requirement of antioxidant intake for the human body is 3,500 –6,000 ORAC units daily. The ORAC score of the foods consumed daily may vary from one person to another depending on age and the risk factors they face. Studies have shown that eating foods with a high ORAC score can help increase the antioxidants’ capacity by 25%. Based on the findings of the research conducted by the agricultural laboratory of USDA, the top 10 plants of the world ranked by the level of the antioxidants they contain are not fruits but herbs and spices. The development of our products involves the use of herbs and spices in order to ensure a high level of useful and healthy antioxidants. Laboratory test results have revealed the following ORAC scores.